‘Tis the season to be jolly and the time for giving ! All you have to do is answer the following 3 questions and you will be entered into a draw for a 2 night stay with Cottages for Couples. (terms and conditions apply as usual). Here how to enter……. BY EMAIL ONLY (no Facebook entries) – with XMAS COMPETITION in the subject line. All answers can be found on the pages of our website. 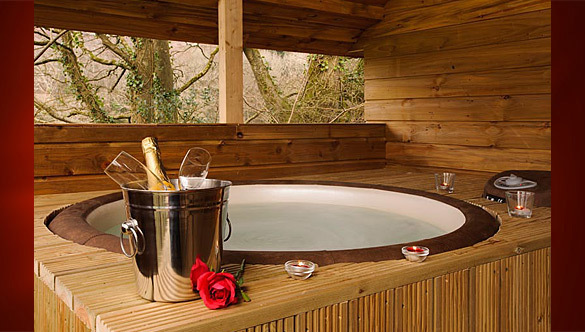 How many cottages in total (including treehouses) have hot-tubs? Which cottage has a spirial staircase connecting the living area to the bedroom? In which type of trees nestle Treehouses 1 and 2? Send answers BY EMAIL ONLY to info@cottagesforcouples.ie with XMAS COMPETITION in the subject line. Include your name and contact telephone number. The winning entry will be announced on December 19th 2014. The winner will receive a HOLIDAY VOUCHER which can be redeemed for a 2 night stay, in any Cottages for Couples cottage, Thursday-Sunday (excluding Bank Holidays) to be taken before May 31st 2015. All stays subject to availability and normal terms and conditions. No cash equivalent.